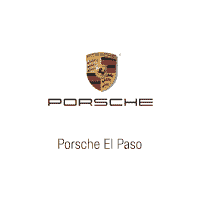 This 2019 Porsche 911 Carrera S is offered to you for sale by Porsche El Paso. This Porsche includes: CARRARA WHITE METALLIC PREMIUM PACKAGE W/ADAPTIVE SPORT SEATS PLUS Auto-Dimming Rearview Mirror Heated Front Seat(s) WHEELS PAINTED IN SATIN PLATINUM SPORT EXHAUST SYSTEM W/TAILPIPES IN BLACK FRONT SEAT VENTILATION Cooled Front Seat(s) Heated Front Seat(s) FRONT AXLE LIFT SYSTEM LIGHT DESIGN PACKAGE SPORT CHRONO PACKAGE INTERIOR TRIM IN BRUSHED ALUMINUM GT SPORT STEERING WHEEL LUGGAGE NET IN PASSENGER FOOTWELL BOSE SURROUND SOUND SYSTEM Premium Sound System PORSCHE DYNAMIC CHASSIS CONTROL (PDCC) SMOKING PACKAGE 18-WAY ADAPTIVE SPORT SEATS PLUS Mirror Memory Seat Memory Power Passenger Seat Adjustable Steering Wheel Power Driver Seat Passenger Adjustable Lumbar Driver Adjustable Lumbar Bucket Seats PORSCHE LOGO PAINTED ELECTRIC SLIDE/TILT SUNROOF IN GLASS Generic Sun/Moonroof Sun/Moonroof REAR AXLE STEERING All Wheel Steering *Note - For third party subscriptions or services, please contact the dealer for more information. * Pull up in the vehicle and the valet will want to parked on the front row. This Porsche 911 is the vehicle others dream to own. Don't miss your chance to make it your new ride. You can finally stop searching... You've found the one you've been looking for. Just what you've been looking for. With quality in mind, this vehicle is the perfect addition to take home.